"My first introduction to instrument making was as a young child. My father would make whistles from the bark of the sycamore tree." – Martin Doyle. Born in Dublin, Ireland, Martin Doyle grew up in the seaside town of Bray in County Wicklow. One of four children in a family with music in their blood, Martin was influenced and inspired by his mothers melodious singing from a very early age – learning songs that have stayed with him to this day. In his own words, "My first introduction to instrument making was as a young child. My father would make whistles from the bark of the sycamore tree. My grandmother, who was a melodeon player, used to visit us on Fridays and we would play and swap tunes." Taught the tin whistle by Christian Brother Donovan at a Catholic school in Greystones, Martin developed a love for performance, also playing the harmonica and jaw harp. Forming a family band with his sister and two brothers, the children would entertain family, relatives and neighbours on a variety of improvised instruments. 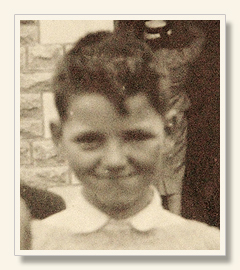 "I worked in a pub in town at the tender age of fourteen," Martin remembers. "Charlie Byrne, the well known actor and singer, would have me play the mouth organ for the patrons. I have always enjoyed performing." At seventeen, Martin began an apprenticeship as an engineer working for a company in the building that would eventually become his own flute-making workshop. Five years later, taking a break from the trade, Martin and his brothers formed a band called 'The Doyles' that playing traditional Irish music around the local area. A short time later Martin went to sea as a marine engineer for a short period. He soon returned home to reignite his musical ambitions, which he describes as his 'first love'. "My philosophy is to produce a simple style flute of the highest standard, producing a sound which is enjoyed by amateur and professional musicians alike. These flutes are elemental in their simplicity, yet are sought after by some of the world's finest musicians." – Martin Doyle. Playing sessions and gigs at nights and on weekends, Martin joined his friend Noel Gallagher in 1979 to begin repairing and making Irish flutes and Uilleann pipes. Realising the need for better equipment, he once again went to sea as an engineer with an oil exploration company – working in the North Sea and off the coasts of Africa and Spain. Three years later, Martin had earned enough to purchase some top quality tools and returned once again to Bray. 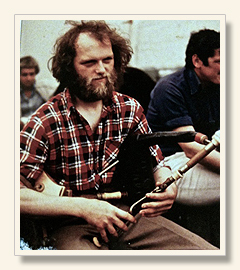 By early 1983 he had set up a workshop with another friend, Johnny Burke – Martin concentrating on wooden flutes and Johnny on Uilleann pipes. 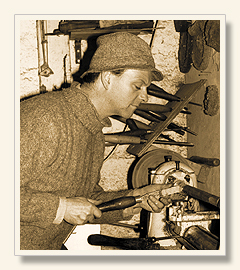 To broaden his knowledge of flute making, Martin spent time studying the German flute maker Johann Joachim Quantz and, some years later, also visited the retired English flute maker Albert Cooper on two occasions. This study, coupled to his skill as an engineer, an innate intuition for flute design and a deep love for music, set the scene for Martin Doyle's career as a crafter of excellent wooden flutes. In 1984 Martin Doyle went solo as a flute maker and set up his operation in the workshop where he had served his engineering apprenticeship in a small industrial compound by the River Dargle in Bray. He began producing flutes and also doing part-time maintenance engineering at local factories to supplement his income. In 1997, somewhat exhausted by a tough work schedule, Martin decided that flute making would be his full-time occupation. Martin Doyle's philosophy is to produce a simple style flute of the highest standard, producing a sound that is enjoyed by student, amateur and professional musicians alike. These flutes are elemental in their simplicity, yet are sought after by some of the world's finest musicians and flute teachers. In 2000 Martin Doyle also began crafting Baroque flutes that are based on an eighteenth century Rottenburgh flute design. He also makes wooden headjoints for concert flutes. All through his life and career Martin has kept up with his own flute playing and also with teaching. For many years, he taught flute and tin whistle at the Port Lios prison, the Bray School Project and for a number of private students. He has travelled to Hungary on several occasions to give workshops and in 2003 took part in the Pan-Celtic festival there. Martin has also participated in the free lunchtime summer concert series held at the National Gallery of Ireland in Dublin and at An Béal Binn in Bray. 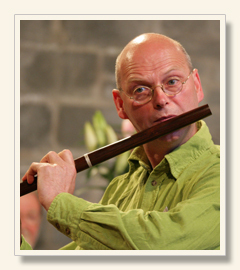 Travelling extensively throughout the Ireland each year, he is involved in many workshops, festivals and music sessions around the countryside – both playing and exhibiting his flutes. "Now, years later, I realise the importance of those early days because only as a flute player can you truly understand what is needed to make a good sounding instrument." – Martin Doyle. An innovative and progressive craftsman, Martin Doyle has submitted his flutes to three craft competitions over the years and received awards on each occasion. Martin Doyle flutes won the Design and Crafts Council of Ireland Medal in 1985, the prestigious Royal Dublin Society California Gold Medal (overall winner) in 1993 and first prize in the 'Musical Instruments' category of the 2011 RDS National Crafts Competition. Martin's flutes are being played by champions of the Fleadh Ceol competitions across Ireland and many flute teachers in Ireland and abroad insist that their students have Martin Doyle flutes. Harking back to his musical upbringing he states, "Now, years later, I realise the importance of those early days because only as a flute player can you truly understand what is needed to make a good sounding instrument. Over the years, my work has developed through various flute designs. I made some cylindrical bore models, but preferred the sound of the conical bore for traditional music. The design I currently use has that bore and is the culmination of many years of studying the great eighteenth and nineteenth century master flute makers." Whilst his first love in music is the wooden flute, Martin also plays tin whistle, concert flute, piano and electronic keyboards, mandolin, banjo and the Uilleann pipes. Other interests include Aikido (Martin is an Aikido instructor), outdoor pursuits such as swimming, kayaking, cycling and walking, and he has a keen interest in photography – particularly natural settings. Martin has been practising meditation for many years and has a deep appreciation for spirituality. "When I started making flutes I was concerned as to where the timber came from: were they just hacking down the forests or were they sensitive to the continuation and replanting of the forests?" – Martin Doyle. 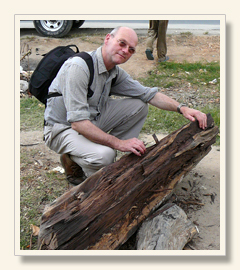 As an instrument maker with a deep fondness and respect for nature, Martin Doyle has always had a keen interest in the conscious use of timber – particularly in the case of African blackwood (Mpingo as it is known in east Africa) which is the most popular of the woods used for making flutes and wind instruments. This has led to his being involved in several African Blackwood conservation projects and Martin has personally visited Tanzania to assist in the making of a radio feature called The Music Tree. While in the Tanzanian capital, Dar es Salaam, he made a flute with the help of local wood carvers. "With instruments that are made from things that grew naturally, there's a sense of the countryside, a sense of something natural. The music that comes from them has a spirit or has a life, which came from the earth." – Martin Doyle. Travelling inland, Martin also saw first-hand how the Mpingo Conservation and Development Initiative (an organisation that aims to conserve endangered forests by promoting the sustainable and socially equitable harvesting of timbers such as Mpingo) is working and commented that he could not have been happier with any system of conservation. Martin has now made several flutes from FSC certified African Blackwood imported from legitimate and verifiable sources in Tanzania – a world's first in the global flute making community. His workshops and home are powered by electricity generated through windfarms in Ireland. "I think if I had a set design from the day I started making flutes and was using it now, I would be in a mental home – I would not be able to live with it. I like to strive to transcend my capacities and therefore my results. It's important to me that the contemporary flutes keep evolving and giving us new horizons – that's the real joy of this work! My feeling is that we should never stop striving for the better good in any field of endeavour." – Martin Doyle. And that's the feeling you get when you play a Martin Doyle flute! A Martin Doyle six key flute made from African Blackwood with a tuning slide. "It never ceases to fascinate me. I'm amazed at this simple instrument – I'm amazed by what it can do!" Asides from his obvious fondness for the Irish flute and traditional Irish music, Martin Doyle also plays the concert flute – and makes wooden headjoints for concert flutes. The acquisition of a William Richards wooden concert flute (inscribed with the makers name and 'Brooklyn, New York', but no date) inspired Martin to practice more frequently and in February 2010 he recorded the following unnamed Johann Joachim Quantz (1697—1773) piece at his home – performing both parts of this delightful duet. Quantz was a German flute maker, player and composer whom Martin studied for a time at the beginning of his flute-making career. Martin also plays the following hornpipe, Poll Ha'penny, on the William Richards concert flute. Martin notes that he has heard it said that the great Irish harpist Turlough O'Carolan (1670—1738) lamented that his one regret in life was that he hadn't been the person to compose Poll Ha'penny – such was his fondness for the tune. History has left us without a clear view of the origins of this tune, but at least we can surmise that it must have been composed before O'Carolan's passing. "When people play music, they offer people flowers. When people make flutes, they offer people seeds."